Those diseases which are mainly caused by virus and bacteria and can be transferred from an unhealthy person to a healthy person is called communicable disease. They are caused by contact with a sick person through the medium of clothes, food, insect, injections, etc. Communicable diseases consist of food and water borne diseases, air-borne diseases/ droplet infection, diseases transmitted through contaminated needles which are described below. Roundworm is called Ascariasis. Exposure to dirt and germs is the main cause of its transmission. The egg of roundworm enters into our body through dirty water, food and hand. After crossing various stages in its life cycle, a matured roundworm starts suffering us. Children may feel nausea and abdominal pain. Live worms are passed in the stool or vomited. The process of digestion and absorption is disturbed resulting in malnutrition. Physical development, in children, is retarded. Diarrhoea is defined as the passage of loose, liquid or watery stool more than 3 or 4 times a day. It is mainly caused by Gartner Bacillus, Entireties and E.Coli. About 45,000 children die every year due to diarrhoea in Nepal. It may be acute or chronic. Mucus or blood is seen in the stool. This disease also comes under the gastro-intestinal diseases. It is either caused by bacteria called shigella saga and flexneri or an amoeba, namely Entamoeba histolyctica. Amoebiasis is a protozoal disease caused by Entamoeba histolyctica with or without clinical manifestations. It is a common infection in the human gastro-intestinal tract. This disease is caused by Shigella Shiga and Flexneri. It is also known as blood dysentery because of the presence of blood in the stool. Safe disposal of human excreta. Provision of safe drinking water supply in the community. Maintenance of personal hygiene and food hygiene. Cholera is acute diarrhoea caused by Vibrio Cholera. It is characterised by the sudden onset of effortless watery diarrhoea followed by vomiting, rapid dehydration, muscular cramps and suppression of urine. Direct contact with an infected person. Flies act as a mechanical carrier. Dehydration, resulting intense thirst, sunken eyes, hollow cheeks, decreased urine output and low blood pressure. Maintenance of personal and environmental sanitation. Commoncold is an acute viral disease of the upper respiratory tract caused by a filterable virus which is also known as Rhino virus. It is characterised by the inflammation of mucus membrane of the nose, sinuses and throat. The incubation period of common cold is 12-72 hours. Direct contact with the infected person. Those diseases that are mainly caused by virus and bacteria and can be transferred from an unhealthy person to a healthy person are called communicable diseases. Diarrhoea is defined as the passage of loose, liquid or watery stools more than 3 or 4 times a day. Cholera is acute diarrhoea caused by Vibrio Cholera. Common cold is an acute viral disease of the upper respiratory tract caused by the filterable virus which is also known as Rhinovirus. What to know about diarrhea? How Does The Common Cold Work? What are the differences between communicable and non communicable diseases? Communicable diseases transfer form one person to other but non-communicable diseases don't, these are limited in the sufferers only. What is meant by diarrhea? Diarrhea refers to the gastrointestinal infection in which there is frequent and excessive discharge of watery stool. What are the two types of dysentery? Amoebic dysentery and bacillary dysentery are the two types of dysentery. What is the name of the germ that causes Amoebic dysentery? 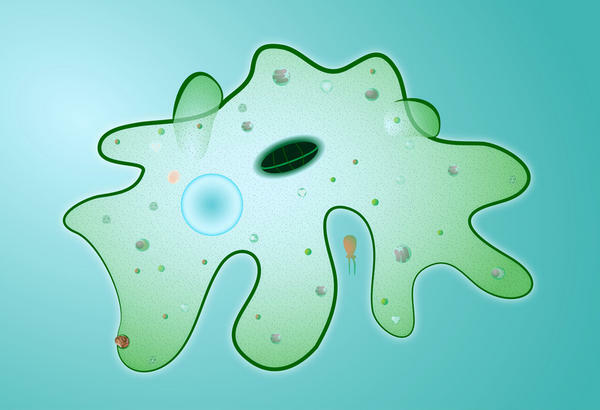 The name of the germ that causes Amoebic dysentery is Entamoeba Histolytica. Name the germ that causes cholera. Vibro Cholera is the name of the germ that causes cholera. The intestinal disease that is caused by roundworm is called ascariasis. What are the main causes behind ascariasis? Lack of proper cleanliness and health awareness are the main causes behind ascariasis. How is diarrhea transmitted? Write down any three symptoms of it. What kind of disease is cholera? What are its symptoms and preventive measures? Cholera is an acute form of gastro-intestinal disorder in which there is frequent discharge of watery stool accompanied by vomiting. Cholera is brought by germ known as ‘Vibrio Cholera'. The disease occurs due to poor sanitation and also through contaminated food and water. The disease in which the process of digestion and absorption is disturbed resulting in malnutrition is called ______. Which one of them is caused by Gartner Bacillus, Entireties and E.Coli? This disease is caused by Vibrio Cholera is ______. This disease is caused by as Rhino virus is ______. Which is not the causative agent of diarrhoea? hiv doesn't cause deaths .why? Any Questions on 'Communicable Diseases '?